The Senior Manager is the liaison between the Partner, the client, and the professional staff. Senior Managers are responsible for managing multiple auditing and accounting projects and client engagements simultaneously, and scheduling, staffing and coordinating engagement workflow. Senior Managers develop and train staff, and make associations to develop new business for the Firm. Senior Managers play a lead role in maintaining client relationships. Maintains contact with clients throughout the year; possesses a thorough knowledge of the client and all facets of client’s business. Ensures that financial statements, tax returns, and letters of recommendation are prepared in accordance with professional and Firm standards. Maintains knowledge of general economic and political trends of possible tax or other legislation that could affect the business climate. Works to develop responsible, trained staff by assisting in recruiting, developing training aids, and acting as an instructor in professional development programs. Participates in the Firm’s practice development efforts. Prepares other reports and projects as requested from time to time by the Partners. 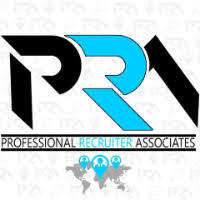 Responsible for the development and training of senior, semi-seniors and staff accountants. Must be familiar with the qualifications of all A&A staff members for the development and instruction of their training needs. Generally requires three (3) years experience as a Manager. Generally requires seven (7) years experience in public accounting, demonstrating a proven progression in complexity, scope, and number of engagements managed. A current and valid CPA’s license is required. Demonstrated ability to bring in new business to a CPA Firm. Proficiency in use of computers, computer accounting software, and tax software programs. Frequent same day travel for work at clients’ offices, meetings, and seminars using a personal vehicle. Occasional overtime work required throughout the year. Heavy overtime work required from January 1 to April 15, may be in excess of 55 hours per week. Participates in career development program to improve managerial, communication and interpersonal skills.